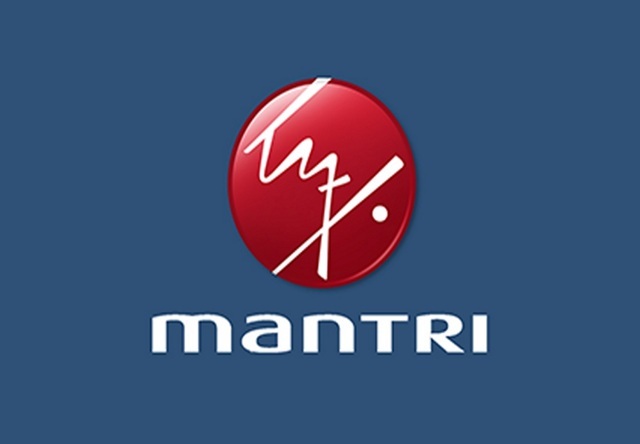 You might have heard of Mantri Developers? If not, then we should let you know that Mantri Developers is one of India’s leading real estate companies. They have the credit of building various world class infrastructures. 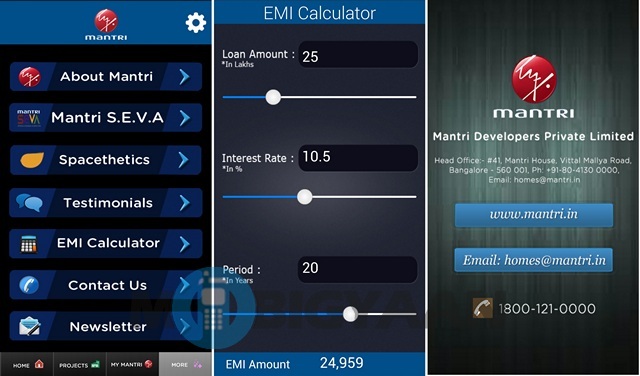 The company recently launched an Android app dubbed Mantri Corp App, developed and designed by Appface Technologies. If you are into real estate and stuff, you should surely check out the app. 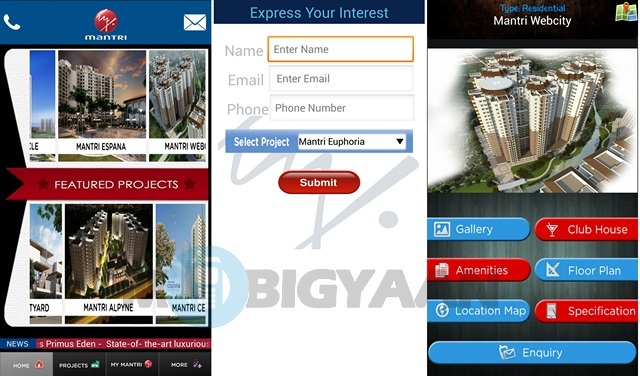 The app is a bid by Mantri Developers to reach out to its customers. So, let us check out if they have managed to do so. Read on.. The Mantri Corp app has a pretty weird interface and it seems to have been made for older Android versions. Anyways, there are four small tabs at the bottom for Home, Projects, My Mantri and one for More. The Home tab features a call button and mail button on the top. 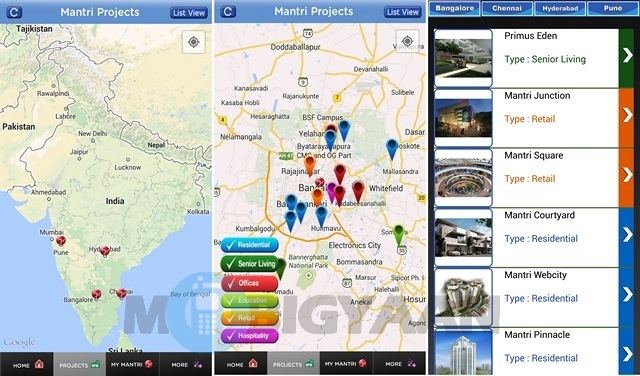 On the middle, there are Featured Projects of Mantri Developers in a scrollable pane. Tapping on one shows you the details on the selected project like Gallery, Specification, Location Map, Club House, Floor Plan, Amenities and Enquiry. Down below, news on the Mantri Developers is shown. The Projects tab shows you the projects of Mantri Developers on the India Map. Tapping on one location zooms you in to that location and shows you all kinds of projects from the company like Residential, Offices, Retail, Hospitality etc.. You can also tap list view, which enlists all the Mantri Developers projects. 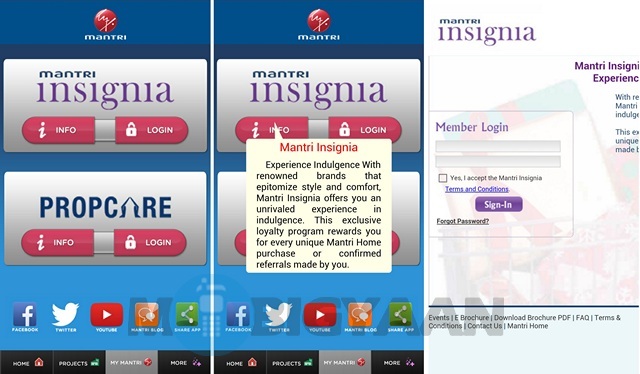 The My Mantri tab lets you login to its services such as Mantri Insignia and Propcare. There are also buttons for Mantri’s Facebook, Twitter, YouTube, Blog feeds. There’s also a button to share the app. The More tab gives you more details on the company and the app. There’s a settings button on the top right, which lets you sync online data for offline viewing. Then there are various menus like About Mantri, which gives you details on the award winning company. Mantri S.E.V.A gives you details on the initiative that was launched two years ago, which focuses on addressing social issues like poverty among others. Spacethetics is a sister company of Mantri and it offers interior requirements to customers. Then there’s the Testimonials menu, which lets you well, see the testimonials of the company. There’s an option for EMI calculator, which lets you calculate the EMI amount for a certain amount under a certain interest rate and over a certain period of time. The Contact Us menu gives you means of contacting the company through a phone call, email, website or better yet, an address. The Newsletter lets you download the company’s newsletter. To be honest, the Mantri Corp app doesn’t seem to be very well designed. None of the user interface elements are in line with Android’s modern interface. The tab buttons feel a little smaller. To sum it up, it’s clunky but yes, it gets the job done. The Mantri Corp App is pretty straightforward and easy to use but sometimes the app does seem to lag a little. The scrolling is laggy and the app crashes sometimes as well. We would also suggest you to sync the app for offline viewing, otherwise it takes some time to load the content. The rest of things in the app are pretty fine. As we mentioned above, the app gets the job done but we would surely want them to get the design overhauled with an update. Overall, the Mantri Corp App does what it is meant for albeit with some hiccups in the form of clunky UI and inconsistent performance. The app gives you all the info you would need on one of India’s leading real estate companies but we will surely expect an update from the developers to fix out all the issues we have with the app. You should surely check out the app, so hit the Google Play Store link below and get the app on your Android smartphone and do tell us, how you like it?